The new 30 gallon Vadai barrel arrived about a week ago. I've spent this last week preparing it for use. When you receive a new barrel, it is generally very dry. It is important to hydrate a new barrel with water to allow the wood in the barrel to expand so that it forms a complete seal. If you put wine in it before hydrating, the wine would either leak in between the staves, or your barrel would soak up your wine - and the last thing you want to do is lose wine! The next phase was coating the barrel down with a substance called Mildewcide. This prevents mildew from growing on the exterior wood of the barrel, or in any of the cracks and crevices. 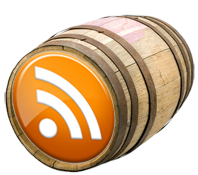 This can happen if you store your barrel in a humid environment. My basement has been humid a time or two, and I didn't want to take any chances with 32 gallons of wine. 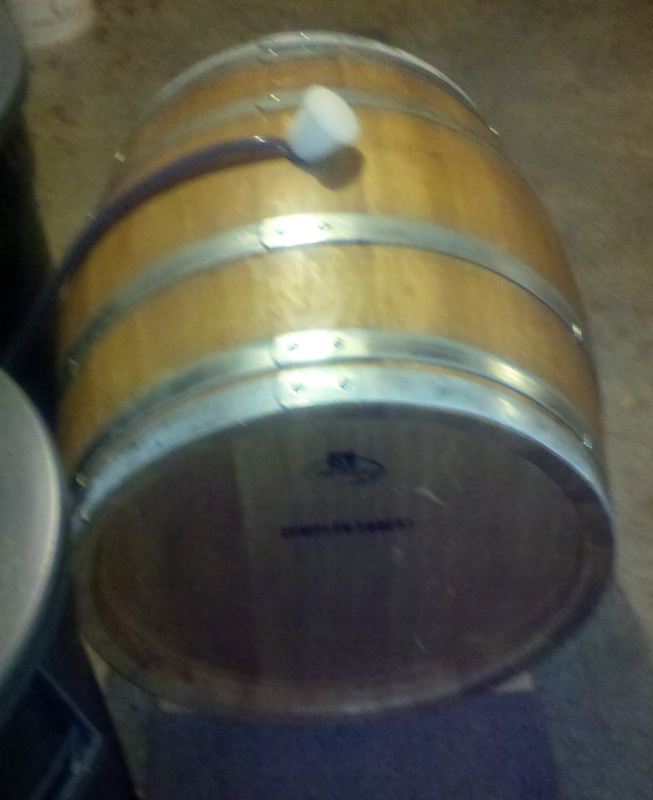 With a smaller barrel, if that happens, you can easily move the wine to a carboy or two and take care of the issue. With 32 gallons, that's a little more difficult. Another thing about preparing a barrel for use. Once you fill the barrel with wine, it will be impossible to move around, plus you need something that will be able to sustain the weight of the barrel, and prevent it from rolling around. I had previously purchased two furniture dollies back when we moved here from Florida a few years back. I modified one of them by screwing two boards on each side of dolly, to hold the barrel snugly in-between them. The wheeled dolly also allows for me to easily move the barrel around as needed. Using the pump from my Buon Vino Superjet, I pumped the wine from three carboys, and a demijohn into the barrel. The wine was our 2010 NC Syrah. The demijohn and one carboy contained the portion of Syrah fermented with D254, and the other two carboys contain the portion fermented with RP15. After aging, these two wines together should present a complex, jammy and spicy Syrah. At least, that's the plan.